Indoor air quality has become a major concern for homeowners across the US. Pollutants, contaminants, dust, or pet dander that are in your home's indoor air can be a major health concern for any members of your household. And if there are any elderly people or children in your home, the risks become even higher. "Air toward which a substantial majority of occupants express no dissatisfaction with respect to odor and sensory irritation and in which there are not likely to be contaminants at concentrations that are known to pose a health risk." Many homes have moisture-related problems that are unique to our region, or they have deficient air conditioning system. Most homes in the area simply weren't designed with regard to indoor air quality and don't provide the fresh air ventilation, filtration, and humidity control necessary for sensitive occupants. The professionals at GLS Engineering can help you ensure that your Charleston home has the cleanest, safest, and healthiest indoor air quality possible. If you're interested in having high quality indoor air, the Charleston mold testing professionals at GLS Engineering can help. We'll first conduct an interview with you to discuss your individual sensitivities, then we'll survey your Charleston home to determine if there are any site-specific concerns contributing to poor air quality. We will then develop a strategy to address point-source contaminants and improve overall air quality in your home via proper ventilation, filtration, and humidity control. Finally, we'll be available to manage the installation of necessary systems and equipment, providing you with a turnkey indoor air quality solution. 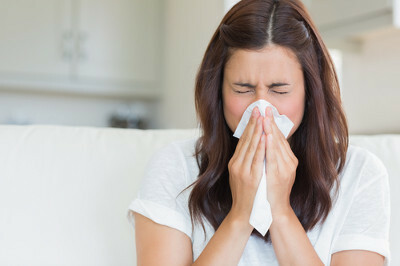 There are also some serious respiratory problems that can develop as a direct result of having poor indoor air quality in your Charleston home. If you have any children living in your home, they may develop asthma, or the polluted indoor air may trigger asthmatic or allergenic symptoms. If anyone living in your home already has respiratory problems, poor indoor quality can irritate or worsen their symptoms. According to the EPA, poor indoor air quality is among the top 5 environmental risks to human health. If you are looking for Air Quality Solutions services in Charleston, call GLS Engineering at 843-881-4803, or fill out our online request form.